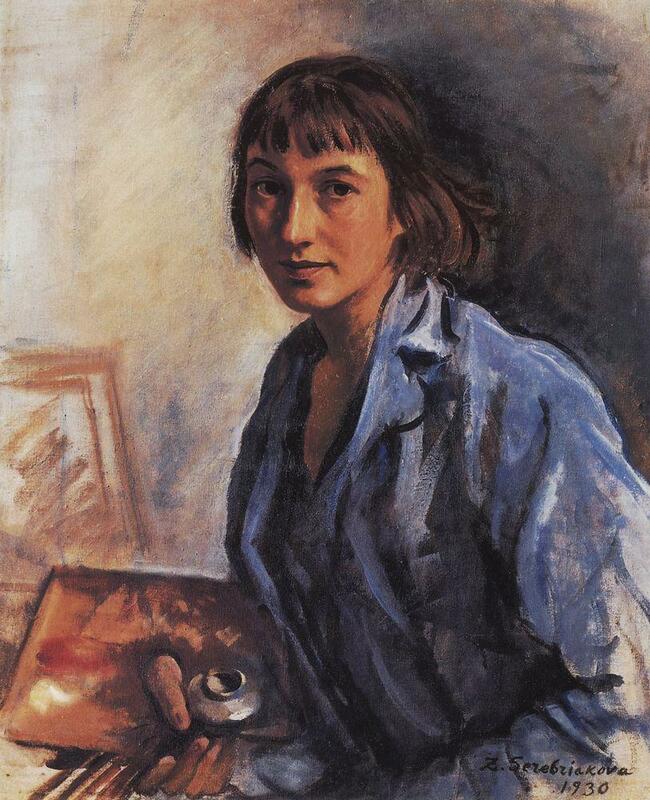 Zinaida Yevgenyevna Serebriakova (Зинаида Евгеньевна Серебрякова) was the first female Russian painter of distinction, as a master of portrait, genre scenes from the life of peasantry. 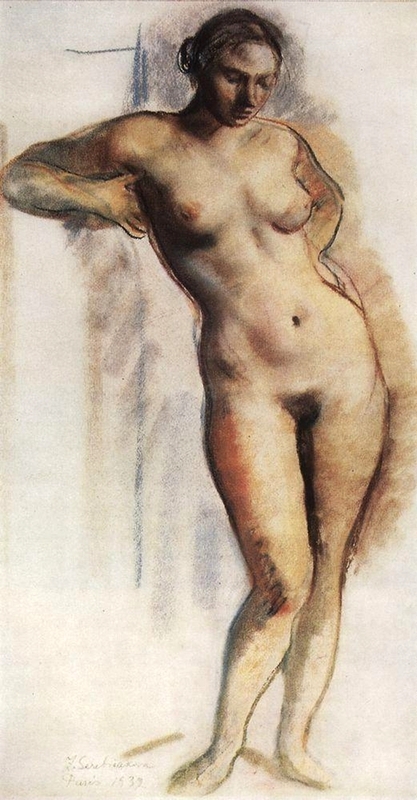 Born in 1884, in the village of Neskuchnoe, in what is now Kursk Oblast; died in 1967, in Paris. 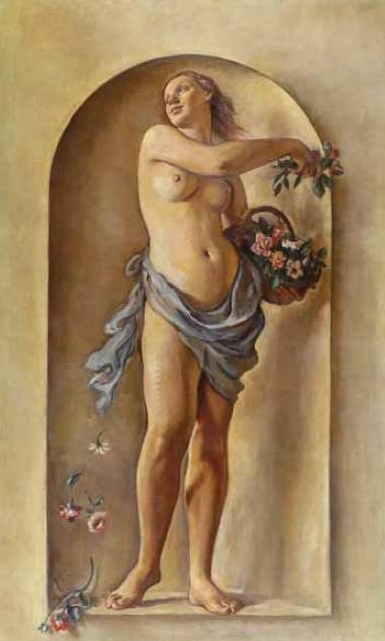 Daughter of E. A. Lansere. 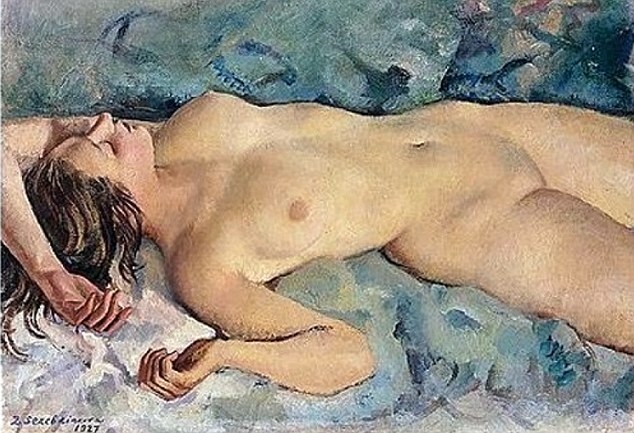 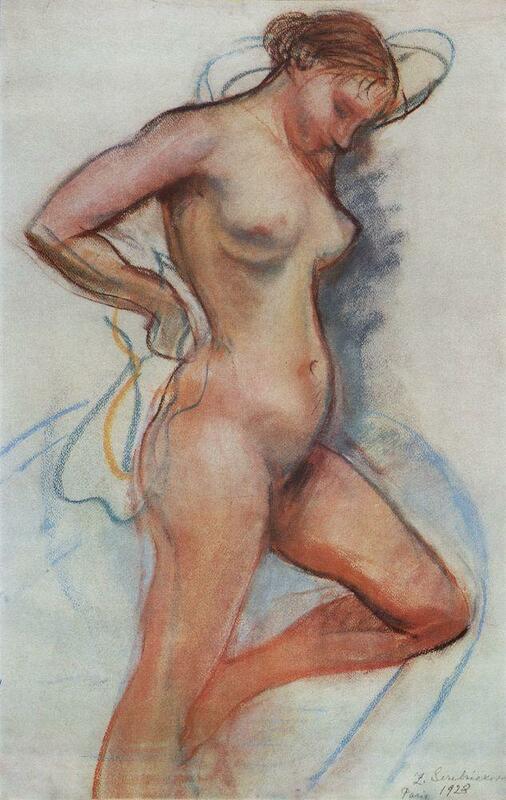 Serebriakova studied in St. Petersburg at the studio school of Princess M. K. Tenisheva (from 1902) and at the studio of O. E. Braz (1903–05). 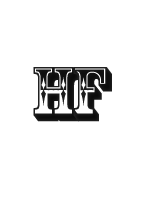 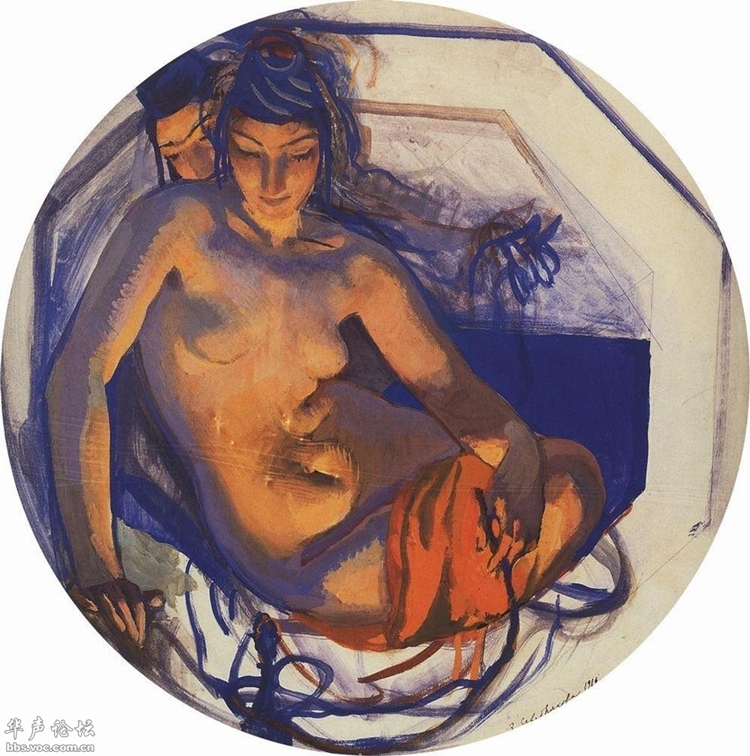 She was a member of the World of Art group (Mir Iskusstva). 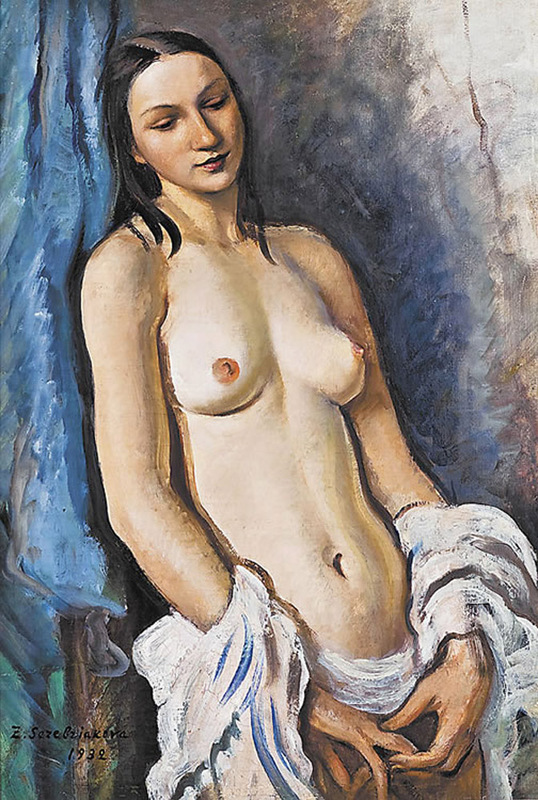 In 1924 she settled in Paris. 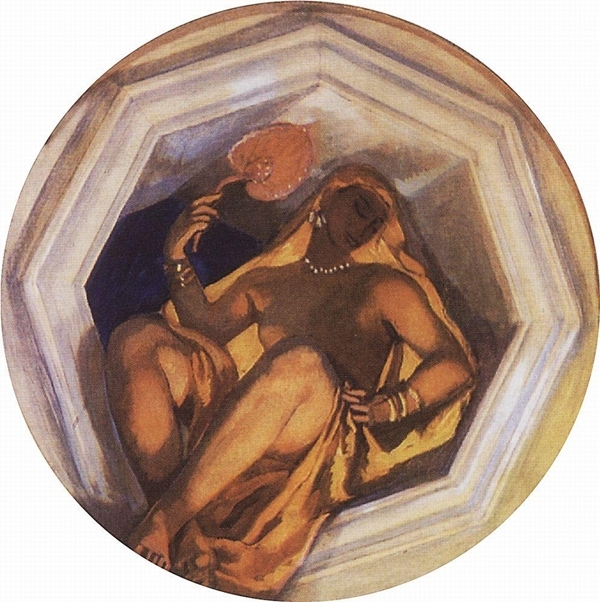 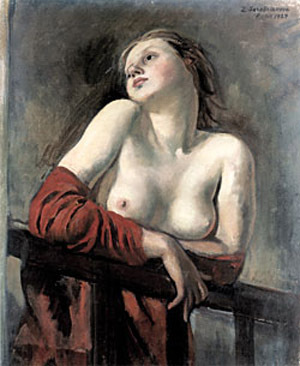 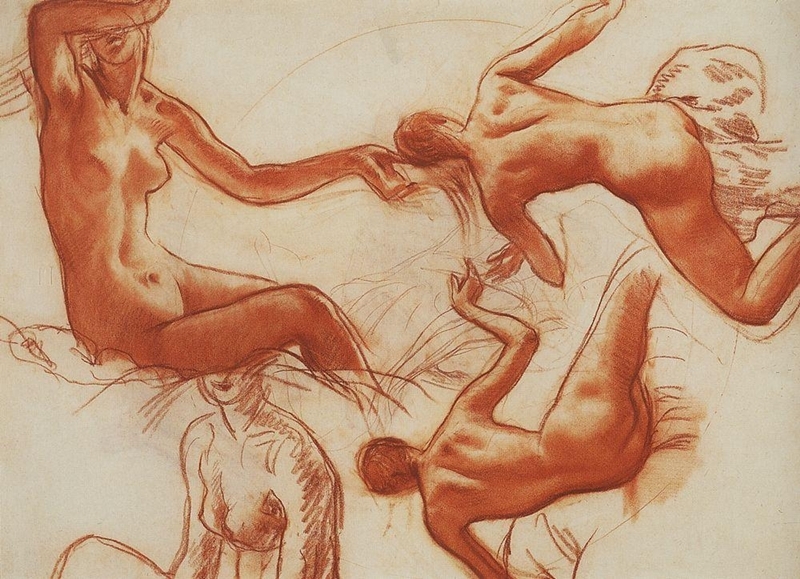 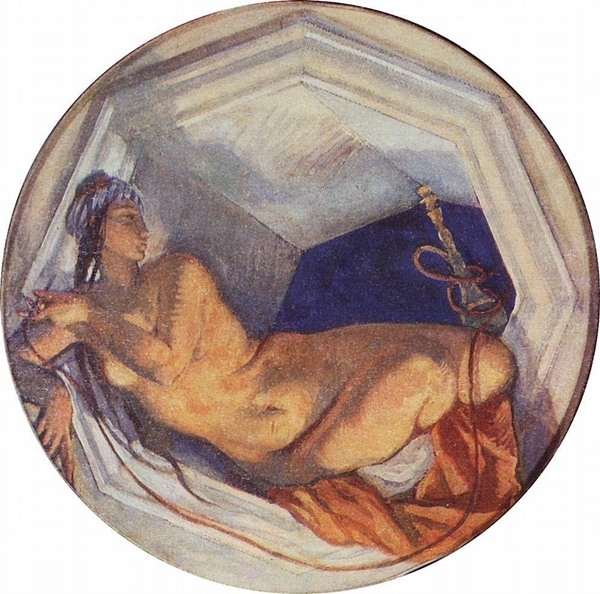 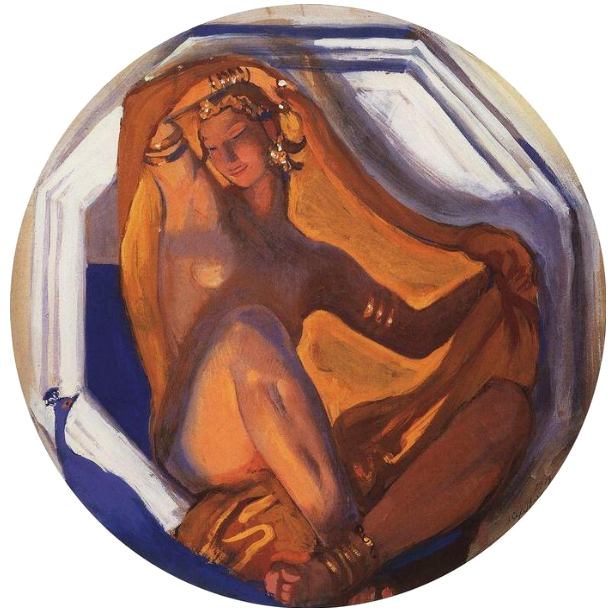 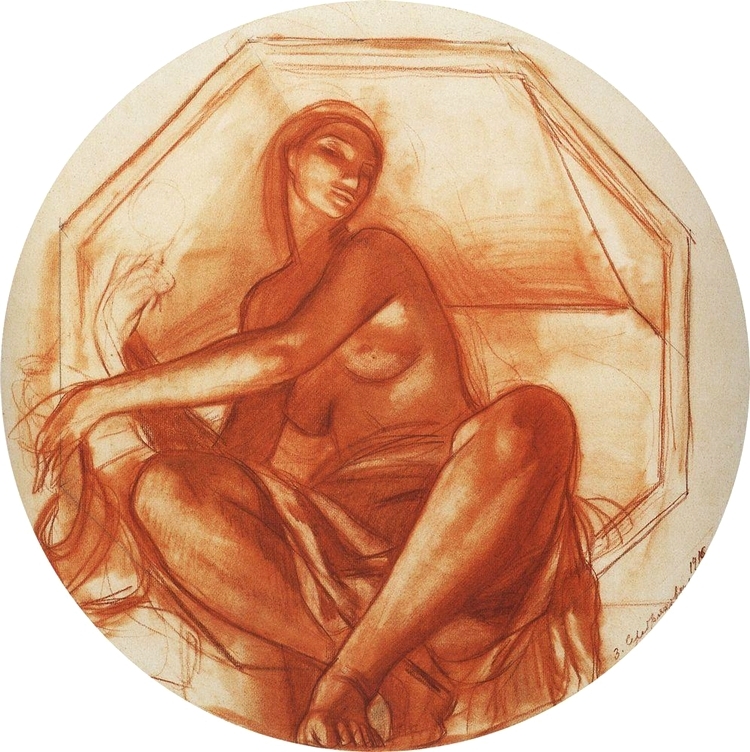 Influenced by the 16th- and 17th-century Italian masters, Serebriakova sought to create ideally beautiful and harmonious images of women. 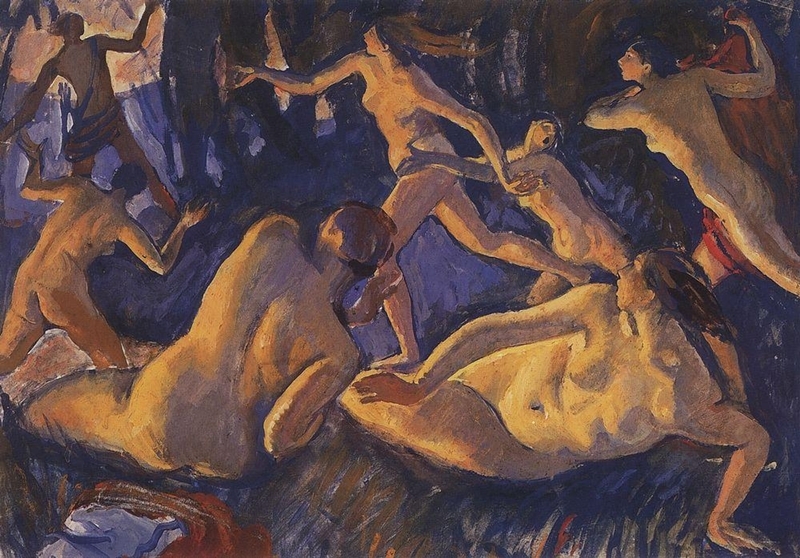 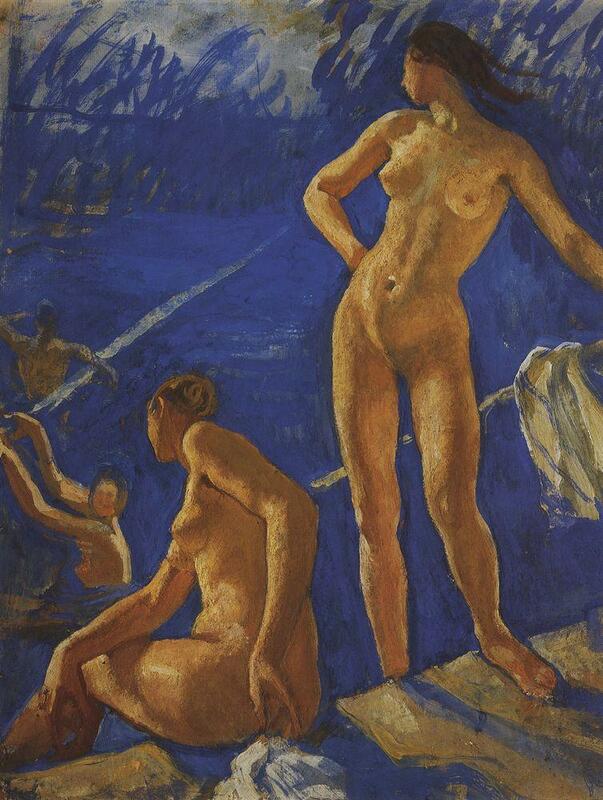 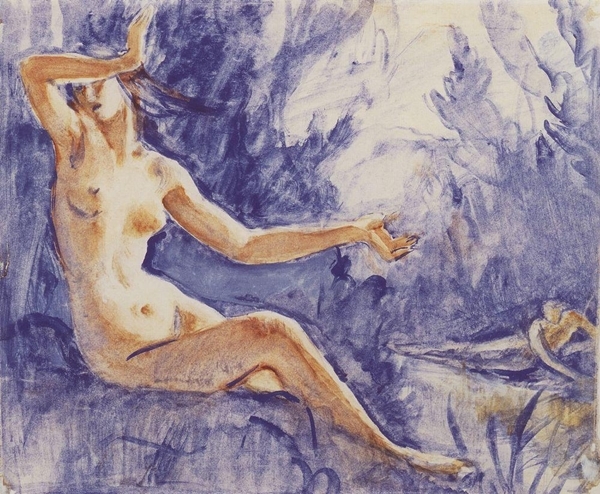 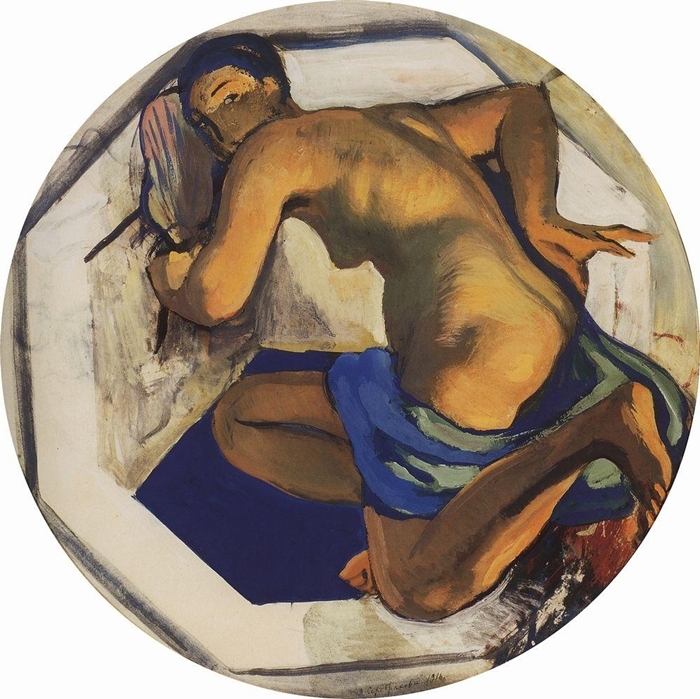 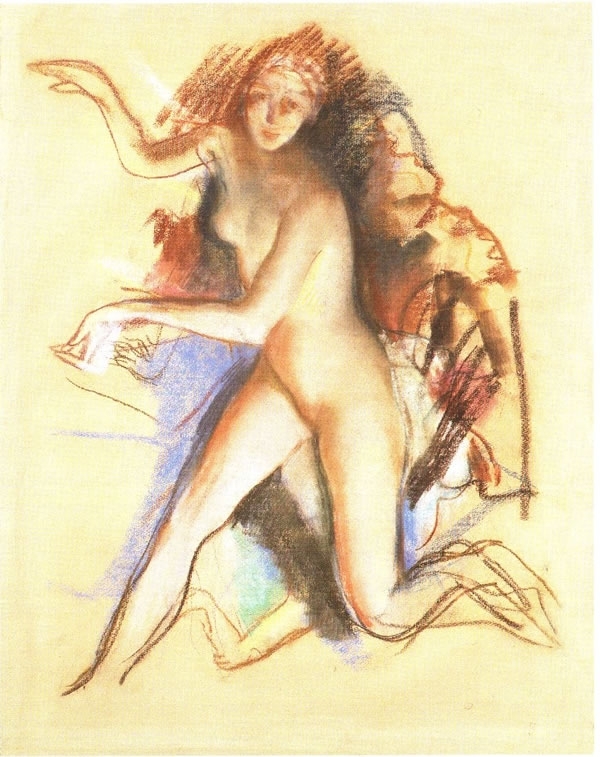 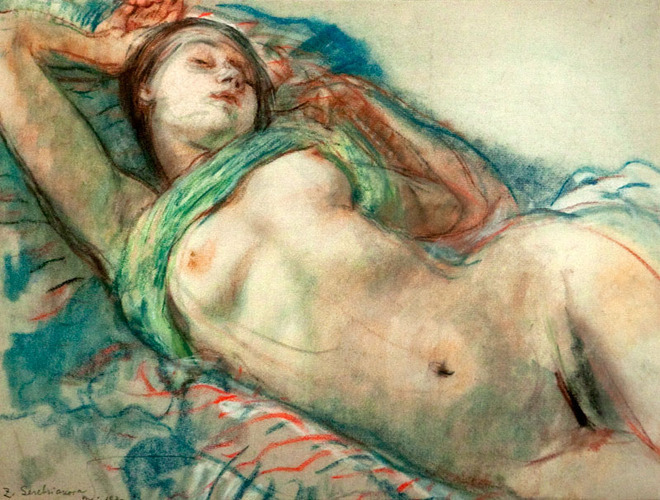 Her handsome and thoughtfully executed works, which include portraits, nudes, and scenes of the Russian countryside, are characterized by balanced composition, precise and sensually modelled forms, and a terse style (In the Bathhouse, 1913, Russian Museum, Leningrad; The Harvest, 1915, Odessa Art Museum; Bleaching Linen, 1917, Tret’iakov Gallery; Collioure: Katia on the Terrace, 1930, Tret’iakov Gallery).